Pass-through chambers or pass-through airlocks are used in a variety of industries like pharmaceuticals, semiconductors, food processing, electronics, aviation as well as research and development. They are primarily used to minimise contamination during the transfer materials between classified areas within a processing facility. The single greatest advantage of a pass-through chamber is that it speeds up processes and increases employee productivity by eliminating the need for staff to properly gown. The gowning process is a time consuming one. Instead of entering a cleanroom environment to hand off necessary material, it can be transferred via a pass-through chamber. 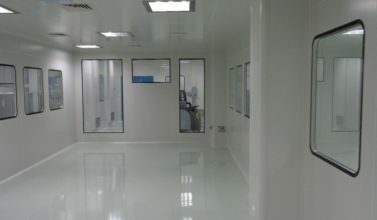 Pass-through chambers are easily installed, whether you have an existing cleanroom or you’ve just commissioned a new one. Pass-through chambers come in a variety of sizes and materials. They are constructed based on the application and can be broadly classified into Static and Dynamic pass-through chambers. Both types can be either floor or wall mounted. A heavy duty sealing lock keeps contaminants out when the chamber is not being used. A third category known as VHP decontaminated dynamic pass-through chamber is also available for leak-proof execution for specific requirements, but we will focus on Static and Dynamic pass-through chambers in this post. 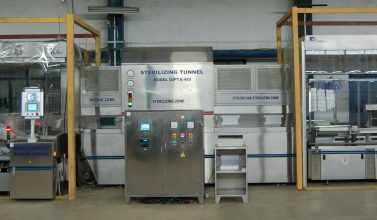 Static pass-through chambers are used to transfer materials between areas of the same classification within a processing facility with or without UV decontamination, while Dynamic pass-through chambers are used to transfer materials from a lower to higher classification area with or without UV decontamination within the processing facility. The basic materials of construction for pass-through chambers include CRCA powder coated, SS 304 and SS 316 L. Pass-through chambers can also be customised with specific materials or a combination of materials for application-specific requirements. Pass-through chambers are generally double wall constructions with a coved internal work surface for ease of decontamination and cleaning. Flushed doors with view panels are standard execution while the number depends on the application. Doors are available in SS, single piece toughened glass or motorised rollon shutters. As with constructions materials, doors can also be customised for specific requirements. Both the chamber and the door system can be designed and manufactured to specific hourly leak rates per specific applications. Internal and external dimensions of the chamber are customised based on the application, materials to be transferred and layout of the area. Customised solutions include reinforces base, roller or automated conveyor to allow for ease of material handling and transfer. Fabtech has recently developed an AFU (air filter unit) which is a dedicated assembly designed for a specific working area. It comprises of primary and final filtration with ventilator with a flow control mechanism. The AFU system is re-circulatory in nature and designed to ensure ISO5 cleanliness level inside the pass-through chamber with uni-directional airflow using manual or automated controls. The AFU system has the flexibility to convert a pass-through chamber into a Bubble, Sink or Cascade system. The selection of an appropriate pressure regime is very crucial for the efficient use of pass-through chambers, both for the intended purpose and contamination control. At Fabtech we have also developed a microprocessor-based control system to handle any sequential operation and customisation which is standard execution. At Fabtech, we have designed, manufactured, installed and validated more than 7000 pass-through chamber systems for varied applications in India and around the world. These systems are validated as per IEST recommended and ISO standards. 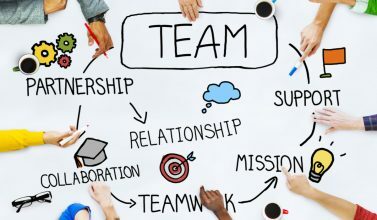 Our team is standing by to help you make the most informed decision about a Pass-through chamber for your pharmaceutical facility. Please fill out the form below so we can get in touch.